All of our services are available in Houston and the state of Texas. This includes standard and trapping and removal, as well as sanitation, repair, and exclusion. It is our belief that a good home defense against nuisance wildlife combines expert craftsmanship and technical knowhow, as well as on the job experience dealing with various types of wildlife that inhabit Houston. 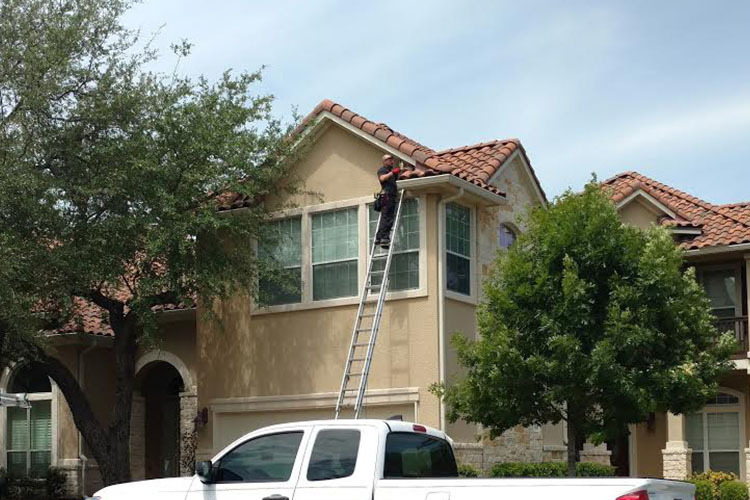 Our local Houston Wildlife Removal technicians are part of your community and take pride in helping others in the area experience an animal-free home and outdoor space. We offer free inspections and estimates for all local wildlife in Houston. We understand that every home and commercial space is different, as are the animals that are drawn to your property in the first place. An extensive inspection of the exterior and interior of the home or office building will allow our team to analyze damage and nesting habits of these animals to make sure this process is as painless, affordable, and efficient as humanly possible. It takes a keen eye to recognize the difference between different types of animal feces and damage, and it takes a smart trapper to know where to place cages and what type of bait to use. After an inspection, our service technicians will go over the details of their plan to remove the animals and perform any sanitation or repair tasks that are necessary. Traps must be monitored daily to make sure live animals are not starved or killed in captivity. We are recognized as one of the most humane wildlife service operators in the country because we adhere to this rule very strictly and use non-lethal trapping techniques. For a number of reasons, it is easier to live-trap wild animals than it is to kill them. Customers ask us if it is easier for them to simply shoot the nuisance wildlife and we always discourage this behavior. Most times it is not legal to discharge a firearm where they live, and it almost always results in a larger mess or collateral damage to the property, not to mention it endangers anyone living nearby. We can even assist with Bird Control as birds cannot be traped, but are important to keep away from your property. Wild animals are very curious once they get inside your home. Rats will start chewing on just about anything to see if it is edible or if it can be used to sharpen their teeth. This is why Houston Rodent Control is a common call for us. 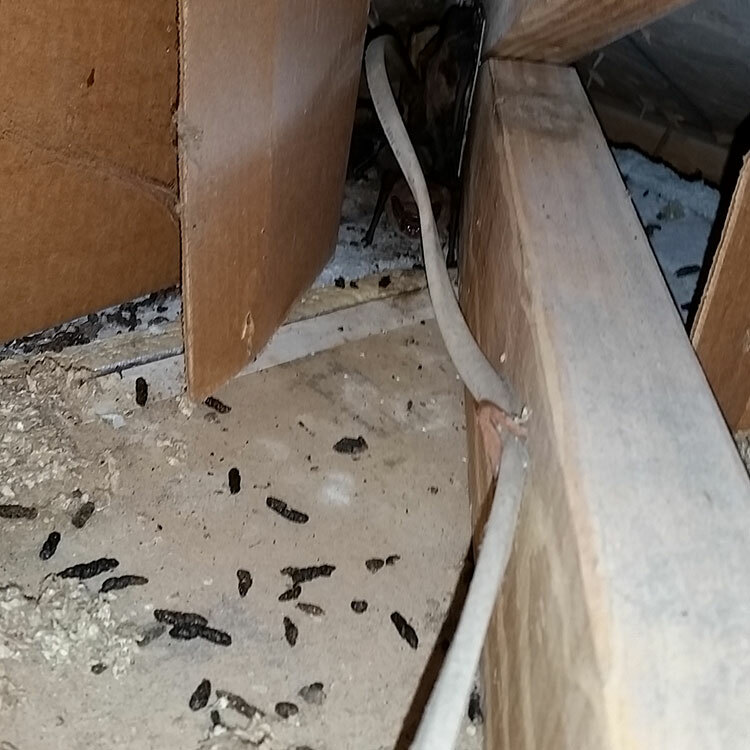 As animals make their way through attic space or under homes, porches, and decks, they will likely cause damage to plumbing and wiring, and other cosmetic parts of the building. During this process they are going to be generating a lot of feces, leaving dirt and oils behind, and urinating. This is nasty stuff that can cause a number of diseases in humans. These types of diseases are called zoonotic diseases because they are passed from an animal to a human. Among these diseases are leprosy, leptospirosis, and histoplasmosis. Yikes! Make sure that if you are doing a wildlife removal job yourself that you thoroughly clean the areas that have been affected, and replace any and all porous materials that have been covered in animal urine or poop. The restoration team at Houston Animal Removal is headed by the most-qualified handyman on our team. They supervise the work of other qualified technicians and serve as the quality control manager for every single job in the surrounding county, and sometimes, the state. Our commitment to quality is unmatched. We won’t leave the job site until everything is as it should be, or better. Too many times we are called in after another local company that simply did not do the job right, and we make certain that we do not have that reputation. The service techs that will enter your home are held strictly to this standard and will not disappoint. Once the general repair work is done, this team begins what we call exclusion work, where they perform a second inspection of the home and install metal screening, netting, and silicone caulking to prevent any and all future infestations of wildlife in the home, including species that were not present at the time of removal. Houston Wildlife Control is here for you when you need us any time, Day or Night, in Vero Beach. We promise to solve your Animal Control and Wildlife Removal needs in a professional, humane and affordable way. Houston Wildlife Control, is the leader for Animal Control & Wildlife Removal in Houston, TX. We are one of the Nation's largest Wildlife Control companies. Are Technicians have years of Training and College Education to ensure quality service and experience. Our Technicians are local in Vero Beach FL, we understand the need for Wild Animal and we will be at your home FAST! We specialize in: Raccoon Removal Houston, Rodent Control, Rat Trapping, animal removal, Bird Control, Bat Removal, Rat Trapping, Squirrel Control, snake Removal , Critter Control, Opossum Removal, Dead Animal Removal, Armadillo Control, And So much More just give us a call 24/7!